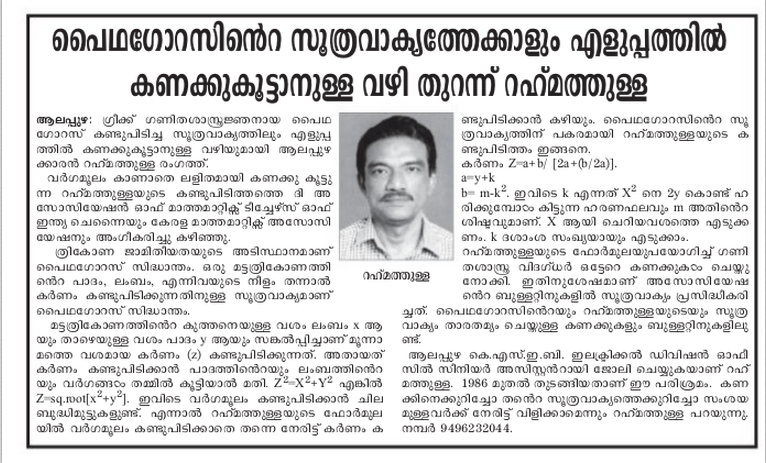 I rose to read Mathrubhumi daily today, only to amuse myself for a Keralite Mathematics teacher – Mr. Rahumathulla – has devised an alternative to the well-known Pythagorian Theorem. The original theorem is supposed to be so minimalistic and unimprovable that even the fifth graders in our schools are given lectures on the same. 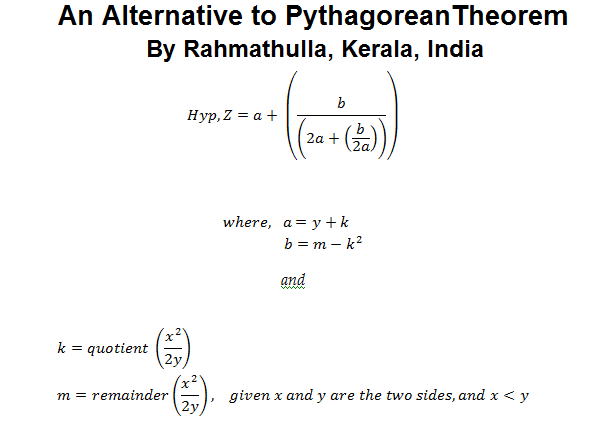 But, removing the concept of square root, Mr. Rahmathulla has devised a new equation, which might seem big in size, but simpler in calculations (especially when bigger numbers are involved and the complexity of the operations are so high because of the square root function). Hats off to Mr. Rahumathulla. As a Math enthusiast, I couldn’t help posting it on my blog. 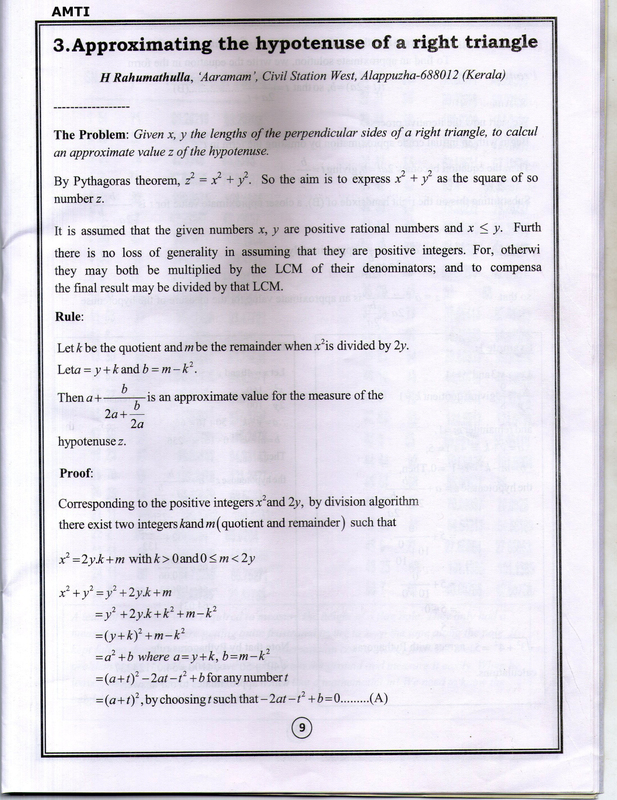 The proof of this finding as published by The Association of Mathematics Teachers of India, Chennai is given below (thanks to Mr. Rahumathulla for sending me this). This 2 means: Divide the distance you’ve run (longer side) into 8 equal parts and discard one part from it. Then if you add the half the height to that, you’ll get Hypotenuse. Further, this trick seems to be applicable for the normal pythagorean triplets of the form (3x, 4x, 5x) and (5x, 12x, 13x). It doesn’t seem to be okay for (7x, 24x, 25x), where it gives not an accurate answer. 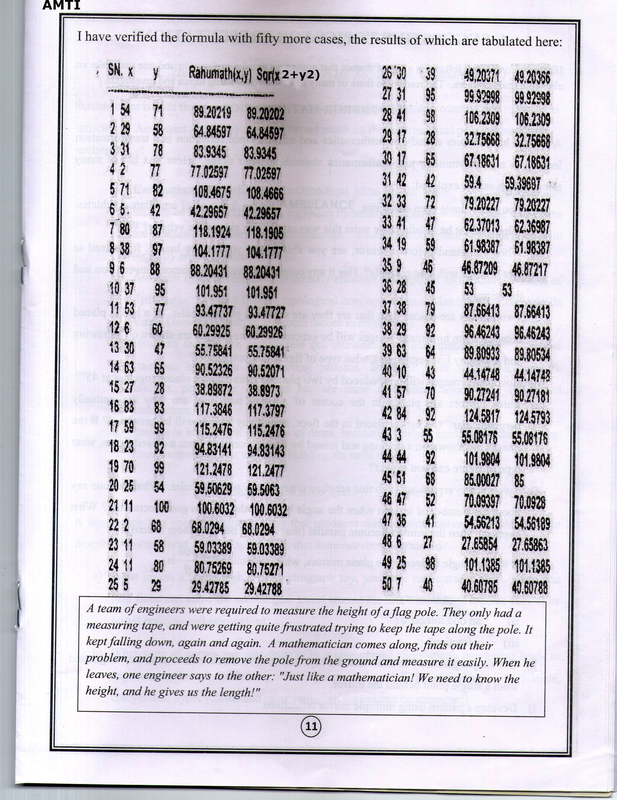 This shows that the ratio a/b, is either 3/4 or 5/12. 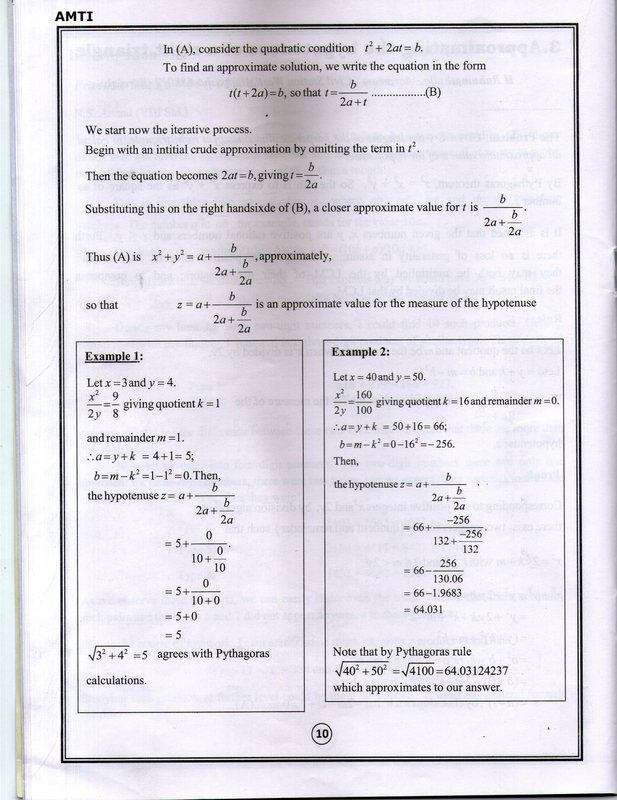 Only then, it will give proper results for the hypotenuse. If the ratio is 7/24, this theorem will not give accurate result as that’s not a root of the above quadratic equation. 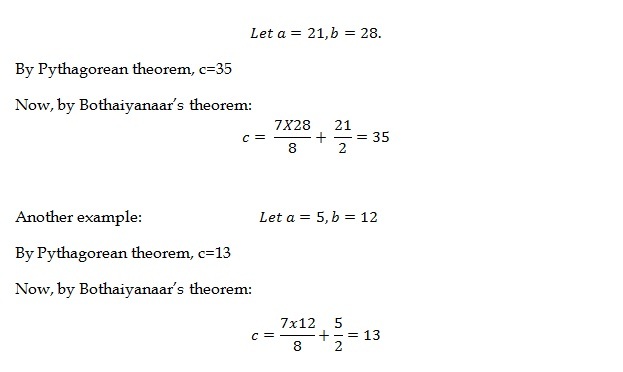 The theorem as such might not look promising, but it is nice to have a thought on the simplicity of this theorem, though having limited application.